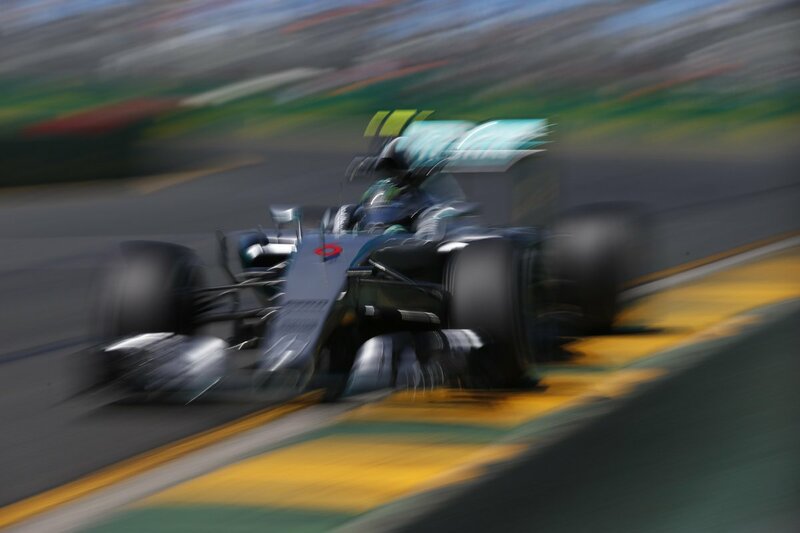 The first Grand Prix meeting of the 2015 Formula One world championship is under-way after the first two Friday practice sessions for the Australian Grand Prix were completed. Reigning world champions Mercedes picked up where they left off last year by finishing 1-2 in both sessions, with 2014 runner-up Nico Rosberg edging out Lewis Hamilton on both occasions. The drama had begun in Melbourne before a wheel had been turned on the Albert Park street circuit. Fernando Alonso will not be present during the season-opening weekend after a crash in pre-season testing, Manor Marussia have returned from the brink of collapse and Sauber F1 team are embroiled in a court case with former third driver Giedo Van der Garde. 2014 had been all about Hamilton vs. Rosberg. This battle looks largely set to continue, with Nico Rosberg finishing as the fastest driver in the first 90 minute session, with Hamilton just under three hundredths of a second slower. The pair completed the same tally of 19 laps. No other driver managed to get within a second of the two Mercedes drivers, with their closest challenger coming in the form of Williams Martini driver Valtteri Bottas. The Finnish driver was 1.1 seconds down on the works-Mercedes team after suffering a near-spin at turn one when the back-end of the Williams got loose. Toro Rosso showed impressive early pace in the first practice session, with rookie line-up Carlos Sainz and Max Verstappen putting their STR10’s in 4th and 6th. The pair were separated by a tenth of a second, with new Ferrari driver Sebastian Vettel settling in-between them in his first Grand Prix weekend with the team. Former team-mates Felipe Massa and Kimi Raikkonen were 7th and 8th for Williams and Ferrari respectively. Massa would not make further running today due to a mechanical issue. Pastor Maldonado was 9th fastest, with home-hero Daniel Ricciardo completing the top 10 for Red Bull. The Australian commented prior to the practice sessions that pre-season testing had masked the gains that the team had made compared to last season; however he would not run again today after problems with his Red Bull RB11. Team-mate Daniil Kvyat was 11th. 16 cars emerged onto the track for the first practice session of the season, with both Sauber and Manor electing to sit the session out. Sauber were confined to the garage amid ongoing court discussions with Giedo Van der Garde regarding an unfair dismissal last year. Manor tweeted that they were “not expecting our first morning to be plain sailing”, with the Australian Grand Prix weekend set to be the first time they run in 2015. 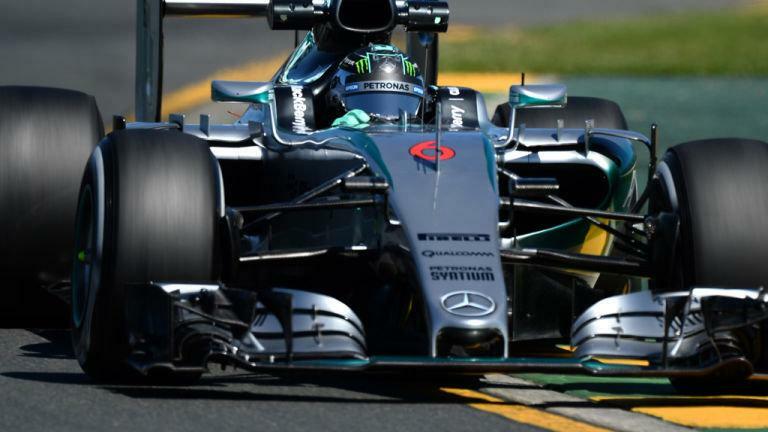 Nico Rosberg continued to lead the way in second practice. The margin between him and team-mate Lewis Hamilton may have increased, but it was still a mere tenth of a second. Rosberg’s time of 1’27.697 came after 29 laps; one of the lower tallies completed by a driver in the session. One driver managed to get within a second of the Mercedes cars in this session, with Sebastian Vettel 7 tenths down on the Silver Arrow pair. The German announced in the run up to this weekend that he would continue his tradition of naming his car, with his first Ferrari being named Eva. Team-mate and good friend of Sebastian, Kimi Raikkonen, was 4th fastest and was 4 tenths down on his team-mate after an equal 33 laps. Valteri Bottas was in the top 5 once again, but was 1.5 seconds off of Nico Rosberg. Daniil Kvyat continued to make progress in his first Grand Prix weekend for Red Bull. He finished 6th fastest and was less than a tenth of a second faster than Carlos Sainz in the Toro Rosso. Sainz completed the most laps of the session with 41. The 2 Lotus-Mercedes cars made it into the top 10, with Pastor Maldonado and Romain Grosjean in 8th and 9th place separated by a tenth of a second. Nico Hulkenberg rounded out the top 10 in the Force India. Once again, 4 cars elected to sit out the session, but this time Sauber were able to get out on track. Rookie Felipe Nasr showed good pace in 11th place, with team-mate Marcus Ericsson in 15th place ahead of Kevin Magnussen. Magnussen wasn’t meant to be in the cockpit this year after being replaced by Fernando Alonso, but last year’s Australian Grand Prix 2nd place finisher was called back into the car after Alonso’s testing crash. His quick return to the car didn’t start as smoothly as he would have hoped after crashing the McLaren-Honda at turn 6. The Dane later commented that the incident was his fault and that he would be back in the car tomorrow.